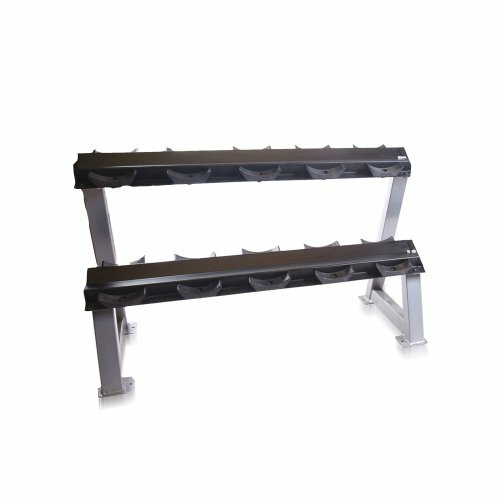 95" Two-Tier Dumbbell Rack is designed with 12 gauge steel and has an angled lower level for easy lifting. Perfect for storage of Hex Cast Iron, Hex Rubber Coated, Chrome, and Pro-Style Dumbbells. Warning: This product contains one or more phthalate chemicals known to the state of California to cause birth defects and other reproductive harm. Consumer may return the product for a full refund, including shipping cost for both receipt and return of the product within 15 days of his or her receipt.